For Bob Kingsley, it’s never been about accolades or honors, though those have been many in his long and storied career. Rather, it’s always been about bringing together music makers and music fans. “I love the music and the people who make it,” he says, “and I want our listeners to have as much insight into both as I can give them, and to make the experience as enjoyable as possible.”His success in that endeavor means that every time he gets in front of the microphone, he adds to his status as the most listened-to radio voice in country music history. It’s why Bob, as Host and Executive Producer of Bob Kingsley’s Country Top 40, far and away the most successful show of its kind, has been the king of the country countdown for over four decades now. Bob’s appreciation for the genre, its people, and its history has always been evident in that warm, rich voice, and the combination has given him both a vast and loyal audience and legendary status within the industry. Already at the top of his game early in his career, Bob received the Academy of Country Music’s Major Market On-Air Personality of the Year Award in 1966 and 1967, and forty years later he remained at the top of a highly competitive industry, winning the first ever ACM’s 2007 National Broadcast Personality of the Year Award. In 2017 Bob received the Mae Boren Axton Service Award in recognition of his many years of dedication and service to the ACM. He has twice been named the Country Music Association’s National Broadcast Personality of the Year and his show received Billboard’s Network/Syndicated Program of the Year award an incredible 16 times. He has been voted National Air Personality of the Year five times by Country Radio Broadcasters and Country Aircheck, and was chosen as the recipient of the 2012 President’s Award by the CRB. It was only natural that he was inducted in 1998 into the Country Music DJ Hall of Fame, and his 2016 enshrinement into the National Radio Hall of Fame serves as the capstone of those honors, placing him in the company of people like Orson Welles, Edward R. Murrow, Bob Hope and Paul Harvey. 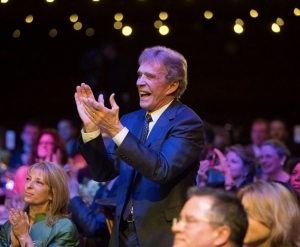 The event that perhaps most tellingly combined acknowledgment of his legendary achievements with the deeply held affection of the industry came in February 2014 when friends and colleagues gathered on the stage of the Grand Ole Opry as Bob received the Living Legend Award. Accolades came in tribute and in song by the likes of Garth Brooks, Trisha Yearwood, Reba, Alabama, Martina McBride, Wynonna and a host of others. This award which is now named the Bob Kingsley Living Legend Award continues on with the proceeds of the event each year being donated to the Opry Trust Fund. When he was 18, Bob joined the Air Force and served in Keflavik, Iceland, where he jumped at a chance to become an announcer on Armed Forces Radio. As he learned the ropes as an announcer, he also developed an appreciation for the country music he was playing. The combination would carry him to legendary stations like KFOX, KGBS, KFI and KLAC in Los Angeles. He then became the voice of Drake-Chenault’s Great American Country format used by hundreds of country radio stations in America. Then, in April 1974, Bob took a job producing “American Country Countdown.” Four years later, he took over as host, propelling the show to its place as a national and international institution. In January 2006, Bob Kingsley’s Country Top 40 was launched. CT40 is now distributed by the Westwood One Radio Networks. For the last 20+ years he has been producing and hosting specials like his popular “Christmas in America” and an annual year-end Top 50 countdown. Bob has long been dedicated to serving the industry as a whole, having been for many years a member of the board of directors of the Academy of Country Music. He has also given tireless service to veterans’ groups and the VA itself. He served as Master of Ceremonies at the National Veterans Day Ceremonies at Arlington National Cemetery in both 2004 and 2005, one of many national and regional events to which he has volunteered time and energy, and he has helped get information on benefits to countless veterans through vehicles like his Veterans Day 2005 radio special, “Bob Kingsley Salutes America’s Veterans.” More recently, he was the recipient of the Wounded Warrior Project’s Tony Snow Award for the significant difference he has made in the lives of injured servicemen and women. His many charitable endeavors include work for Disabled American Veterans, the Dept. of Veterans Affairs, the Wounded Warrior Project, The Palliative Unit of Cook’s Children’s Hospital in Fort Worth, and St. Jude Hospital. An avid cutting horse enthusiast, he lives and works in Weatherford, TX on the Bluestem Ranch with his wife and business partner Nan.